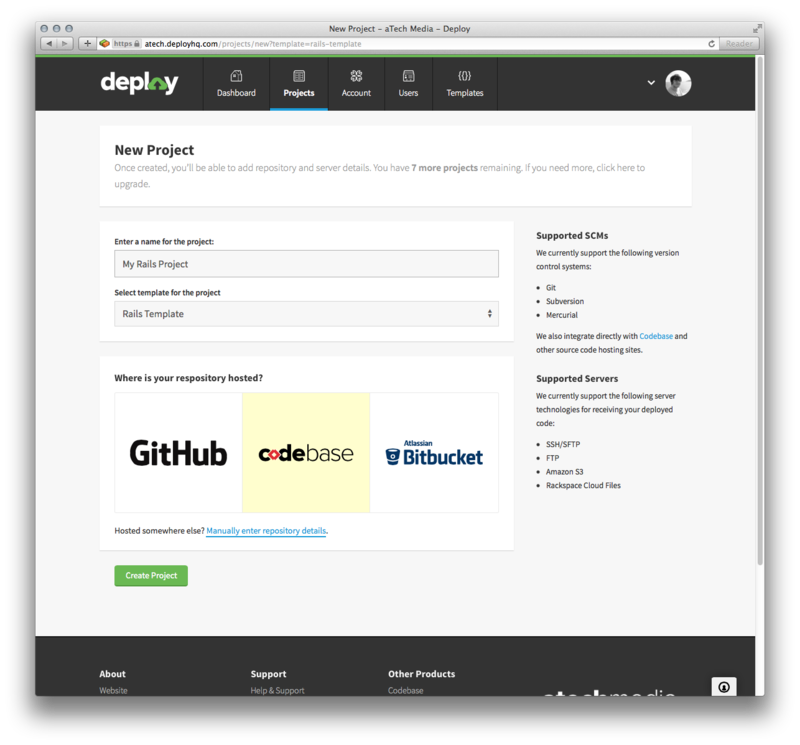 In Deploy v1 we offered preset templates that could be applied to a project. These simple templates were designed with specific use-cases in mind, for example, setting up a Rails app would add database seed commands and basic configuration files. 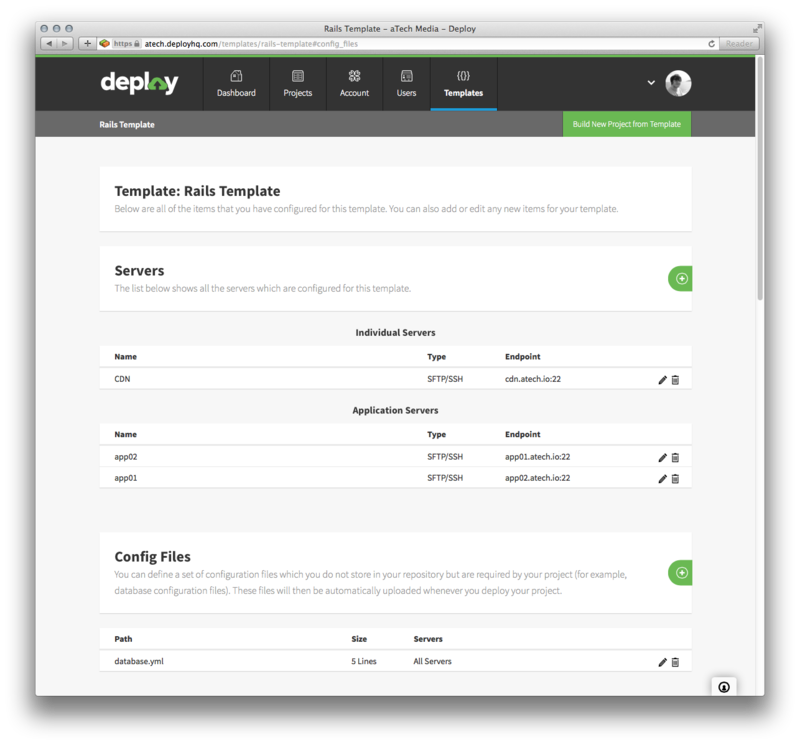 These templates however were not user-definable and were of limited use, so when we launched Deploy v2 we retired them. Nobody was sad. Today we're bringing back Templates, but now they're user-definable, and cover every area of a project, not just Commands and Configuration files. To create a new project from your template, click "Build New Project from Template" while editing your template, or select it from the dropdown when creating your project. Your new project will be created and populated with all of the details from your template.